In the past decade we have seen significant changes in primary care medicine. Insurance reimbursements have stagnated, government regulations have increased and doctors are being replaced by mid-level providers. At the same time, advances in medical research, diagnostics and therapeutics have completely changed the way that we view and treat disease. Navigating through this new era of medicine can be challenging and quality primary care is emerging as the avenue to optimal health. It is now more important than ever for patients to have a knowledgeable advocate to ensure that they are receiving the best medical care available. In response to these changes I have launched the Barbara Hrach, MD – ExtraCare program. With this practice model I am able to provide comprehensive primary care and internal medicine consultative services to a limited number of patients in exchange for an annual fee. This fee covers all of the services provided by our office regardless of insurance reimbursement. I have more time to spend with patients which allows me to become more intimately involved with their health and provide more personalized care. Since launching this program I have been able to incorporate additional services into my practice including the addition of routine cardiac, pulmonary, depression, genetic cancer screening and antioxidant screening into the annual wellness evaluation. I provide comprehensive laboratory services and administer immunizations in house. I publish a monthly email newsletter and am available for home visits when appropriate. I schedule telephone and exclusive video appointments and provide enhanced communication via cell phone, email or secured texting. I am available to coordinate your care among specialists, oversee your hospital care and guide you in times of emergency 24/7. My practice strives to offer the most up to date medical care, using the most up to date technology, the old fashioned way; by having a doctor who knows you and is there for you when you need her. I welcome you to become a part of this exciting practice. What services does the annual fee cover? Any service provided to you by our office including annual wellness evaluation, unlimited office visits with no co-pay, vaccinations, etc. Does my health insurance cover the annual fee? The annual fee generally is not covered by your insurance company; however, many HSA and/or FSA accounts attached to patients’ insurance plans may be used to cover the annual fee. We will submit all qualified office visit charges to your insurance company and these services may be applied to your plans out of pocket deductible. It is important to know that this program is not in lieu of health insurance. Patients should continue to carry health insurance to cover medical services provided by outside facilities or by other health care providers. Your tax adviser can tell you if this fee qualifies as a tax deductible medical expense. I’m young and healthy, is this program right for me? Convenience of video appointments when appropriate. Will Dr. Hrach perform house calls? Yes, Dr. Hrach is available to visit patients at home when patients are physically unable to come to the office and when medically appropriate. In addition, Dr. Hrach routinely visits patients in various senior living facilities throughout Santa Barbara including Valle Verde, Samarkand, Mission Terrace, Villa Santa Barbara and Alexander Gardens. Do I need to be a computer wizard to participate in a video appointment? Not at all. Accessing a video appointment is easy with the use of our HIPAA compliant Zoom video platform. All that is required on your end is either an Ipad, or laptop/desktop with an attached camera. (We will supply a complimentary CISCO high definition camera if needed) We simply email you a link and with a few simple clicks we are connected in a secure, virtual meeting space. Will Dr. Hrach see me in the hospital? Dr. Hrach is a member of the medical staff of both Cottage Hospital and Goleta Valley Hospital. Dr. Hrach works closely with the Hospital Admitting Physician group (hospitalists) at both of these facilities to care for her patients admitted to the hospital. This group of board certified internists is uniquely qualified to provide the most advanced inpatient care to you 24 hours a day, 7 days a week. Dr. Hrach will oversee the care that you receive by the hospitalist and sub specialty physicians while you are in the hospital and will work together with this team to provide you a seamless transition from the hospital to the outpatient setting. Is Dr. Hrach available after hours? Yes. Dr. Hrach is available to her patients 24 hours a day, seven days a week. In the uncommon event that she is unavailable she will make arrangements with another qualified physician to cover in her absence. This information will be made readily available to the patient. 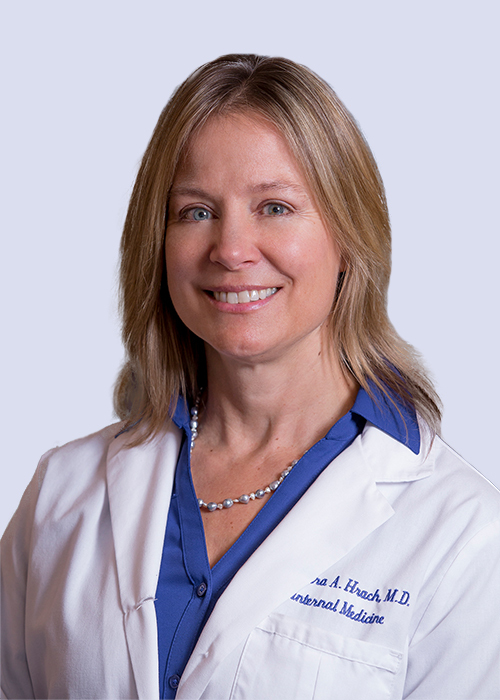 Dr. Hrach has been practicing medicine in Santa Barbara for over 20 years. 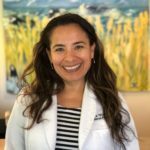 This experience has allowed her to forge close relationships with most of the specialists in Santa Barbara as well as specialists in Los Angeles and the Bay Area. If the need arises for you to see a specialist, Dr. Hrach can assist you by finding the best physician for the job, review all studies and notes received from the consulting physician and coordinate your ongoing care. What if I have any other questions about the Barbara Hrach MD – ExtraCare program? We are happy to answer any additional questions that you may have. Please fill out the contact form to schedule a complimentary 15 minute consultation with Dr. Hrach and find out if this program is right for you. Dr. Hrach practices within a concierge or membership model. In this model, patients pay an annual fee for all services provided by our office. Vicky offers a fee for service practice model, in which patients pay for services rendered at the time of service. As a courtesy, our office staff will submit claims electronically to your primary insurance company. Your direct reimbursement rate depends on your individual insurance plan. Vicky is considered an “out of network” practitioner for most commercial medical insurance plans. Vicky is contracted with Medicare as a participating provider. This means that she charges Medicare allowed amounts for services rendered and accepts assignment for all Medicare allowed services. Full payment at the time of service is expected for all services provided that are not allowed by Medicare. What are the fees for an exam? Our fee schedule is based on the complexity of your visit, and any additional services performed during your visit. Our fees are commensurate with local insurance reimbursements. Charges for an initial patient evaluation are generally between $150-$250 and follow up visits between $75-$150. There are additional charges for vaccinations or other services that may be provided during your visit. Yes, as a courtesy we will electronically submit the visit charges to your insurance company. Your insurance will reimburse you directly if applicable. Family Nurse Practitioner Pagenkopf is contracted with Medicare as a participating provider. She charges Medicare allowed amounts to all Medicare patients which are generally lower than her standard fees. She accepts Medicare assignment for all Medicare allowed services and expects full payment at the time of service for services provided that are not allowed by Medicare. Vicky offers a fee for service practice model, in which patients pay for services rendered at the time of service. We appreciate the care that our patients receive from the hard working employees of the Cottage Health System. Cottage health employees have been welcome in our practice for years and are some of our best advocates. Cottage employees dedicate their careers to helping members of our community during times of crisis and need. As a show of our appreciation for the care that Cottage Health employees provide to our patients and community, we have chosen to contract with and accept Cottage Health insurance on an assigned basis.